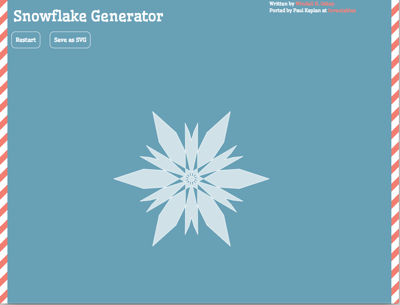 Paul Kaplan from Inventables made this great snowflake generator tool that outputs SVG. 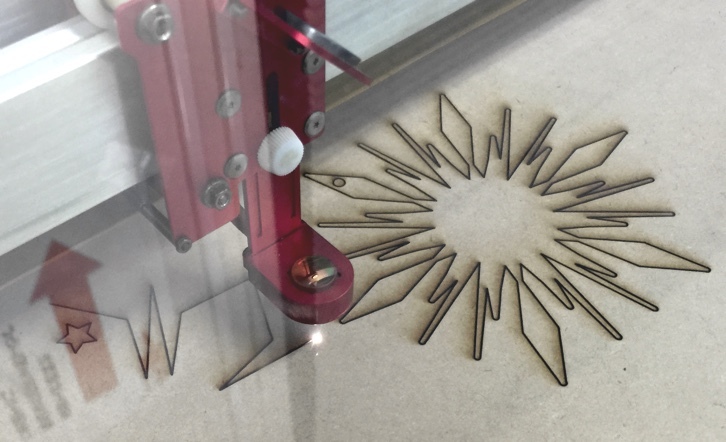 I figured this would be an easy project for newcomers to my weekly FabFriday events at Fablab Oita. It's quite easy if you are familiar with Illustrator (or similar vector tools), but if not then you may need a little help. Next open the SVG in Illustrator or a similar vector image editing program. 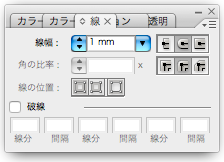 I'm still getting by with and old Japanese version of CS3 that amazingly still runs on Yosemite. The first step is to select the object and increase the line width. Some detail will end up getting lost, so only do this if you have narrow weak points in the design and increase the line width as little as possible and still maintain structural integrity. Next in the line window, round off the corners and edges. 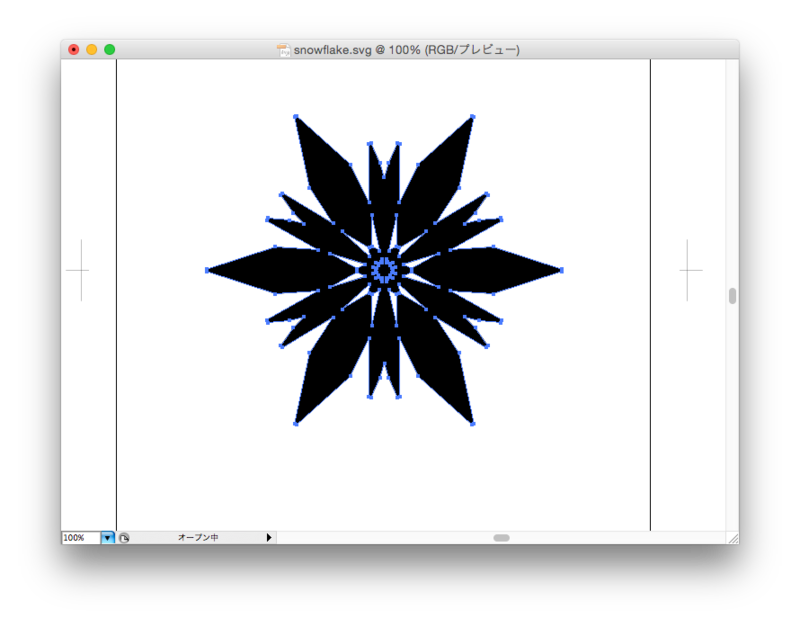 Select the snowflake again, and outline the object paths to fix the new thicker object outlines. 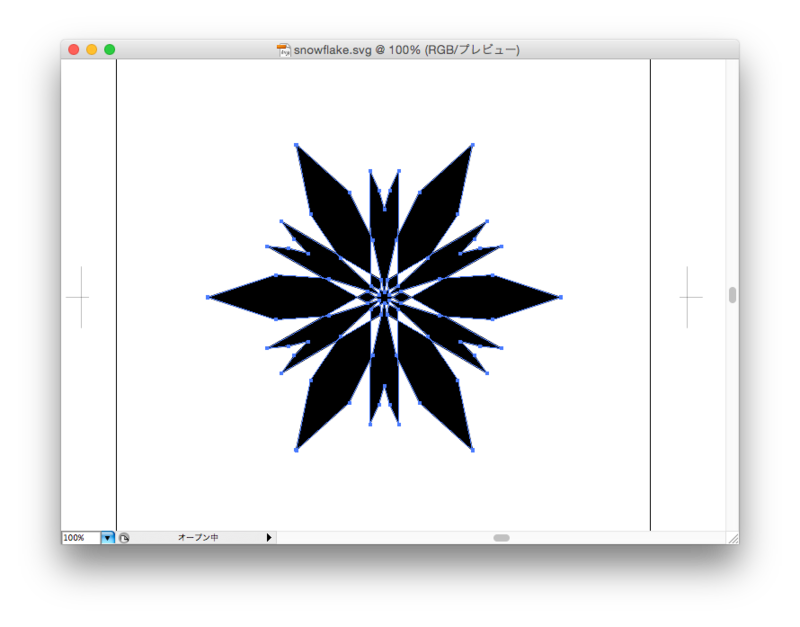 Finally, select the snowflake and use the pathfinder merge tool to clean up all of the interior lines. 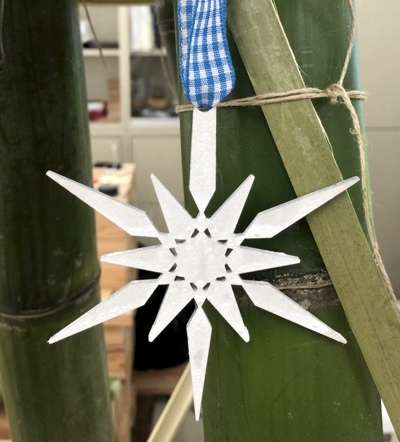 From here, you can add a hole to hang the snowflake or cut out the design as is. The whole process is quick, easy, and fun to watch. Adding a colourful ribbon and a little white makes a nice ornament.